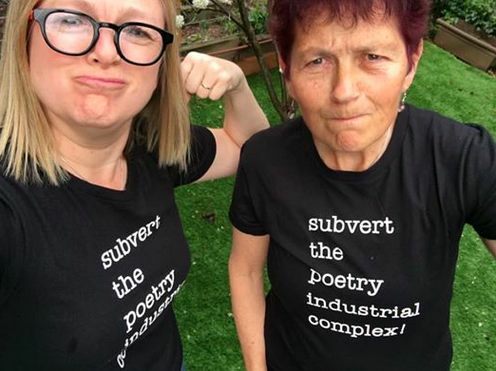 By popular demand, the t-shirt “conceived” for AWP 2019 by three members of my poetry group is now available for purchase. The slightly-more-fitted women’s style is what we are wearing in the photo. The unisex t-shirt comes in sizes M, L, and XL.